The Republic of Djibouti is located on the Horn of Africa and suffers from the persistent droughts and famines associated with the area. Thousands of children are malnourished and living in poverty. SOS Children's Villages has been working in the country since 2011 and provides support to vulnerable children and families. SOS Children's Villages has working in the city of Tadjourah since 2011. We run family-strengthening programmes which aim to identify the most vulnerable families and provide them with support so that they can stay together. If children cannot stay with their families, they can be looked after by the SOS mothers in our family-based care. We also run a kindergarten where pre-schoolers can be looked after and encouraged to develop confidently. SOS relies on the kindness and generosity of Canadians to be able to provide a home for the most vulnerable children of Djibouti. Please help us ensure a loving home for every Djibouti child. Sponsor a child in Djibouti now. Your donation will help change an orphaned or abandoned child's life. Future loving homes being built in Djibouti (photo: E. Bury)The Republic of Djibouti is located in eastern Africa and has borders with Eritrea, Ethiopia and Somalia. It has a strategically important geographic location, controlling access to the Red Sea. There are around 906,000 people living in the country and the capital city Djibouti is home to around two thirds of the population. Djibouti became independent from France in 1977, and after years of authoritarian rule, a civil war erupted in the early 1990s. In 2001, the ten year conflict came to an end when the last remaining fractions of the Afar party (the "Front for the Restoration of Unity and Democracy") signed an agreement with the government in power. Djibouti provides a sea-port for many of the landlocked nearby countries - revenue earned for the use of these facilities is the main source of income for the country. In addition the country remains highly dependent on foreign aid. Although the situation in Djibouti was not as critical as that in some of its neighbours, hundreds of thousands of people were also affected. In November 2010, over 120,000 people were affected by the prolonged drought, prompting the United Nations to launch an appeal for humanitarian aid. It is estimated that around 70 per cent of the population live below the nationally-established poverty line. In recent years, the price of food and other basic commodities such as housing, electricity and water have risen, thus causing more suffering for families who were already struggling to make a living. An estimated 76 per cent of the population lives in cities, and this figure is increasing as people find it hard to make a living in the arid rural areas. Conditions in urban areas are slightly better - more people have access to safe drinking water and sanitation. However, the unemployment rate in urban areas, at around 60 per cent, remains a chronic problem. 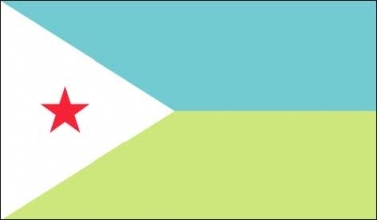 Around 35 per cent of the population of Djibouti are children under the age of 15. In spite of some recent improvement the country has very high infant and maternal mortality rates. Djibouti has one of the world's highest levels of malnutrition for children, particularly among those under the age of five living in rural areas. 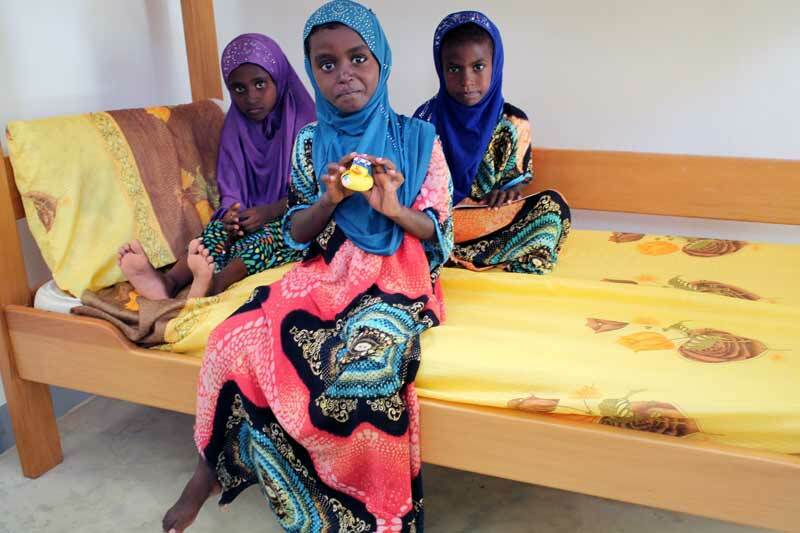 According to some estimates, about one third of all children in Djibouti suffer from the effects of malnutrition including stunted growth and brain development, which can result in delayed intellectual faculties. To make matters worse, children do not always have access to medical treatment which could prevent and treat many of their illnesses. Although the government has invested in education in recent years, the rapid increase in the population means that it has not been enough to guarantee education for all. In addition, families face economic pressures which mean that many cannot afford to send their children to school. Very often girls and boys are sent out to work to contribute to the family income. As parents struggle to eke out a living, the children lack the consistent support that they need in order to develop healthily. Many of these children end up losing parental care and are therefore vulnerable to exploitation.